Summary: May I remind all of us that we take life head on by faith before anything else - even when life looks seemingly unsteady, surely unpredictable, seriously unbearable and securely unbeatable! May I remind all of us that we take life head on by faith before anything else - even when life looks seemingly unsteady, surely unpredictable, seriously unbearable and securely unbeatable! It was a mild October afternoon in 1982 and Badger Stadium in Madison Wisconsin was packed with over 60,000 die hard University of Wisconsin fans watching their team getting hammered by Michigan State. It was so lopsided in the score by the 3rd quarter – but the announcers kept asking why are so many of these Badger fans cheering and hollering - their team was getting crushed on the field. Well, it turned out that 70 miles away, their popular baseball team Milwaukee Brewers were beating the St. Louis Cardinals in game 3 of the World Series. Most of the Badger fans in the stands were listening to the World Series on portable radios and cheering uncontrollably to their Brewers winning 70 miles away! That’s how life is for us as believers in Christ – while there are some circumstances that look pretty bad around us – we still have a lot to cheer about in life! Remember, we walk by faith not by sight! Verse 1a: If we are in God’s camp, the enemy is encamped somewhere near, trying to trap and destroy your victory in Christ! Verse 4 a: Goliath, he is the man in the middle! He was the best the enemy had in order to get between Israel’s victory from God and God’s vision for Israel! 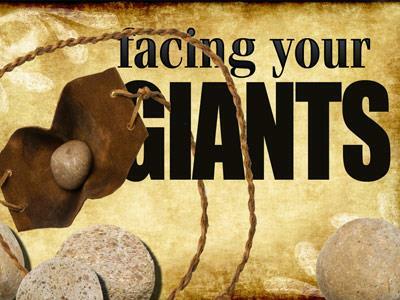 What giant stands in your way today? Maybe it’s your attitude, anger, anxiety, past actions and current circumstances! Sometimes our personal giants stand between us and God’s blessings! 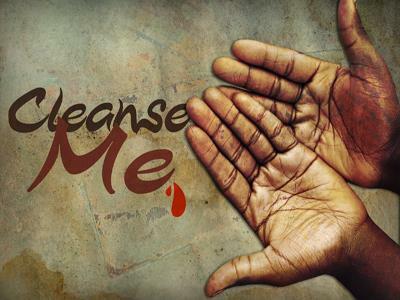 There is only one mediator between God and man, Jesus! Over 9 feet tall - the Sacramento Kings would love to have him playing! If you’re wondering who the tallest man to ever be recorded, it was Robert Wadlow who died in 1940 – he was 8 feet 11 inches tall. Maybe you’re thinking - but 9 feet? Yes! Archaeology was confirmed that many of the Philistines were giant people! “Coat of mail” or canvas body cover made of bronze – about 200 pounds! The spearheads found in this region of Israel have weighted 25 pounds. “Shield barrier” = a man who ran a head of Goliath with a huge shield – so Goliath had double protection. It lasted over 40 days – verse 16. Verse 11: Israel is afraid. He was concerned about his 3 brothers on the front lines. David didn’t go there to fight, but to care for his brothers. Just doing what comes naturally for his family! King Saul is a coward at this point! The youngest bother and a shepherd of Dad’s sheep! What a picture! His oldest brother was trying to humiliate David in front of everyone – because Elaib who should have been anointed king over Israel. There is bad blood between them! Isn’t it so easy to see our own guilt in someone else’s life? David just asks one question and he gets blasted! But notice that David didn’t try to retaliate, because he was secure in his station of life! Sometimes we need to be patient with our critics! 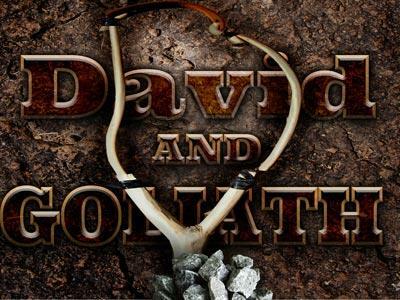 David knew who his fight was really with – not his brother! How many times do we choose the wrong battles to fight? David was about to teach Israel and people through the centuries a powerful truth. I can picture it now; David is blinking his eyes and thinking in his head – what giant! The only giant I see in my life is my God! Goliath is a dwarf over there! We are so quick to judge on the external rather than in internal!